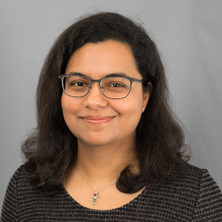 Dr Dhanisha Jhaveri has a joint appointment at Mater Research and the Queensland Brain Institute (QBI) and is a Mater Foundation Senior Research Fellow and a Group Leader. Dhanisha’s research group is investigating the fundamental mechanisms that drive the renewal of neurons in the adult brain, with the goal of harnessing this form of neural plasticity to relieve the emotional and cognitive burdens associated with chronic stress and depression. Dhanisha received her PhD from the Tata Institute of Fundamental Research (TIFR), India, under the supervision of Professor Veronica Rodrigues, where she unravelled the molecular mechanisms that wire the olfactory axons in the fly (Drosophila) brain. In recognition of her doctoral work she was awarded the Indian National Science Academy medal for Young Scientist of the Year in 2003. Fascinated by the discovery that the production of new neurons continues in the adult brain, she then joined the laboratory of Professor Perry Bartlett at the Queensland Brain Institute as a Human Frontiers Science Program Postdoctoral Fellow. She has made major discoveries that have transformed our understanding of the regulation and roles of neural stem cells in the adult brain. Her work uncovered that a subclass clinical antidepressants directly activates neural stem cells in the hippocampus, a brain region implicated in regulating mood and cognitive functions. She also pioneered the development of a new cell sorting protocol to purify neural stem cells which revealed presence of distinct stem cell populations in this brain region. Investigating the fundamental mechanisms that drive the renewal of neurons in the adult brain, with the goal of harnessing this form of neural plasticity to relieve the emotional and cognitive burdens associated with chronic stress and depression. Doctor of Philosophy, Tata Inst. Jhaveri, D and Rodrigues, V (2002) Sensory neurons of the Atonal lineage pioneer the formation of glomeruli within the adult Drosophila olfactory lobe. Development, 129 5: 1251-1260. Jhaveri, D., O'Keeffe, I., Robinson, G., Zhao, Q-Y., Zhang, Z. H., Nink, V., Osborne, G., Wray, N. and Bartlett, P. (2015). Presence of distinct, stimulus-specific subpopulations of quiescent precursors in the adult mouse hippocampus. In: 25th Biennial Meeting of the International-Society-for-Neurochemistry Jointly with the 13th Meeting of the Asian-Pacific-Society-for-Neurochemistry in Conjunction with the 35th Meeting of the Australasian-Neuroscience-Society, Cairns Australia, (254-255). Aug 23-27, 2015.